A locally owned family business operated by Michael Hawke, with more than 20 years experience and knowledge will make your choice in quality meat. 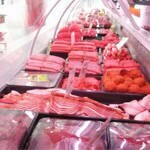 Mikes Meats retail outlets are located in both the Belconnen and Fyshwick Fresh Food Markets. Fyshwick Market phone: 0262957858 Open Thursday to Sunday, 8am to 5:30pm. Belconnen Market phone: 6251 3006 Open Wednesday to Sunday, 8am to 5:30pm. Award winning range of our very own Smallgoods and Sausages. 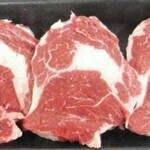 Prime quality beef, lamb, pork and chicken.